The Stage Richard Jordan: Are changing values making classics unstageable? Richard Jordan: Are classics becoming unstageable because of changing values? Have we got to the point where some theatre classics are unstageable, or at least only stageable with significant editing? 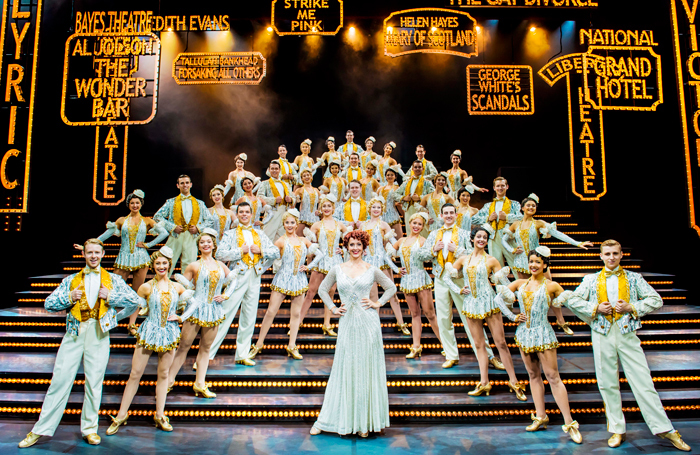 A few weeks ago, I returned to see the musical 42nd Street at London’s Theatre Royal Drury Lane . It was a year since my last visit, which pre-dated the Harvey Weinstein scandal and many of the discussions around abuses of power in the entertainment industry. Again I enjoyed the show, but this time at the end I overheard an audience member remark to their companion about how the backstage behaviour of its lead character, Julian Marsh (the show’s fictional director), could be considered bullying and sexual harassment in the workplace. Is this a case of overanalysing a classic musical packed with showbiz charm? Or did the audience member have a point and would shrugging off such comments serve to highlight exactly the argument that #MeToo campaigners have been making – that this kind of behaviour has become normalised. If the latter is to become the adopted position, then a string of great musicals from Kiss Me, Kate to The Producers need to face similar scrutiny – albeit for a range of reasons. The same is true of plays and a recent West End revival has neatly underlined how changing attitudes can affect a show’s critical reception. Killer Joe by Tracy Letts  saw many critics take issue with the tone of the piece, with The Stage’s critic Tim Bano describing it as “an unpleasant revival of a nasty play”. More than two decades later, the same critic commented of the current production : “The explicitness (above and beyond the call of duty) shades queasily into the exploitative. You shudder at the play rather than with it during these sequences”. Times have changed, and so can opinions. However, does a work such as Killer Joe need to be heavily revised for today’s audiences? Revision is not without its risks. Director Bartlett Sher received plaudits for his recent New York revival of My Fair Lady in which he re-conceived the ending. In the original, Henry Higgins’ last line to Eliza as she returns is: “Eliza, where the devil are my slippers?” This was always lyricist Alan Jay Lerner’s way of making a man unable to express his emotions tell someone that he loved them. It’s also the way it has played in every production I have seen other than Sher’s and ends on a poignant note between them. In Sher’s version, however, after Higgins’ line, Eliza instead walks across and strokes his face before walking out through the auditorium leaving ambiguity and a lack of closure. But, for me, this was unnecessary – by the end of the musical, Eliza is already a strong independent woman – that point has been clearly established in both the musical’s book (and George Bernard Shaw’s play Pygmalion, from which it is adapted), through the earlier scenes in which Eliza returns from meeting with Higgins’ mother. While critics enthused over Sher’s new ending, referencing it back to the issues of today, watching it play before a regular audience you felt a sense that the musical no longer gave them a pay-off. Instead, it felt as though they had been waiting more than three hours for the “I love you” moment only to then be denied it – it’s not how Lerner intended this scene to play and it was surprising his estate allowed it. We should be concerned about a growing attitude that classics can be ‘fixed’ to match today’s agenda – one risks changing the very essence of the work itself. This is a very fine line to walk and one that needs to be carefully balanced with the crucial issues that campaigns such as #MeToo are fearlessly addressing. The very future of our industry, and also its history, depend upon us getting this right.